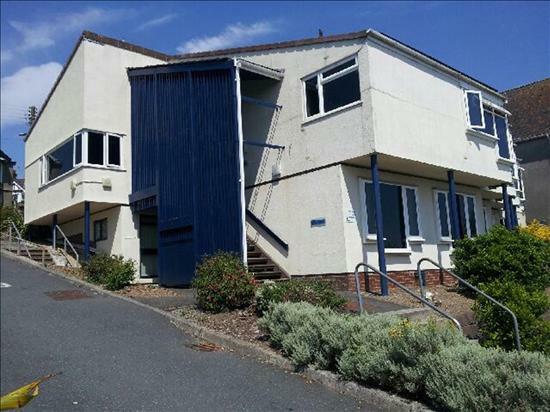 The osteopath works in the downstairs part of the surgery, you can access this area from the car park on the left of the building under the metal stairs. As you enter take a seat. Please do not enter any room until you are called. If you have been waiting more than 10 min past your appointed time you may knock on the door. New patients are asked to fill out a brief questionnaire on the level of pain they are in before their initial assessment. This will be sent out in the new patient information pack or you can download or print it out. 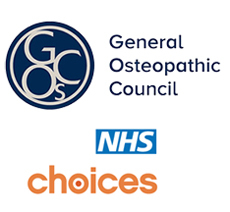 If you need help filling in this questionnaire; please bring it with you and your Osteopath will help you. We can be found next to St Barnabas Hospital. Port View and St Barnabus share the car park. At the top of Fore Street in Saltash bear left at the roundabout and follow the road until the road narrows. The next left will be signposted to the Hospital, travel 200 mts and the hospital/surgery are on your right. Park in the hospital car park and we are in the building to the left. Please note this practice has facilities for the disabled and has access for wheelchairs. 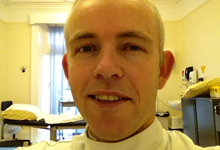 Paul Hatton is the service lead for south Devon Osteopaths. He works primarily using structural techniques such as soft tissue and manipulation. He graduated from the British College of Osteopathic medicine with a 1st class honours degree and has worked in both private and NHS practice since. He has an interest in spinal pain and is the clinical lead for the South Devon Osteopaths NHS neck and back pain clinics in Southampton and Cornwall.